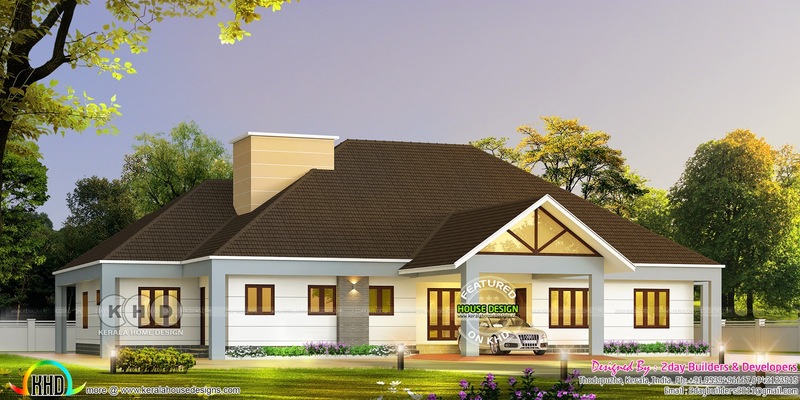 3350 Square Feet (311 Square Meter) (372 Square Yards) beautiful bungalow model sloping roof house with 5 bedrooms. Design provided by 2 day Builders & Developers, from Thodupuzha, Kerala. 0 comments on "Bungalow style 5 bedroom sloping roof home"